How Do Fish Finders Work to Help You See What’s Underwater? Any angler, be an expert or a beginner, might have heard about different fish finders. It might also happen that you have used them or still using them. Most people are unaware of the functionality of a fish finder. Knowing about the functions of the device may help you get the most of it while fishing in different bodies of water. So, how does a fish finder work? Let’s find out! Fish finders are small electrical devices that are used to locate fish underwater. However, this special device not just show fishes around the boat, but also indicates depth and information about overall surroundings. It uses sonar technology and sometimes GPS to display the information you required. Not every person is technology savvy. For this reason, it not surprising that a lot of people and even fishermen do not know the working mechanism of a fish finder. Generally, a fish finder consists of two different parts. One is the computer with a display, and the other is a sonar device. The computer/display unit is also sometimes called the head unit. Nowadays, most of the fish finders of the market are found a combo of internal or external GPS receiver, a transducer and a fish-finder head unit (Computer/Display). However, different types of accessories can also be attached to fish finders for enhanced functionality. Mostly used accessories are Bluetooth and network devices, various imaging devices, advanced sonar which includes Panoptix and 360 Imaging. The working procedure of all fish finders is almost the same. So, whether you are using side imaging fish finders or bottom line fish finders, they use the sound wave to detect the fish underwater. With side view fish finders, you will be able to see details of what lies on the side of your boat while bottom line fish finders show information of the water directly below the ship. If the computer/display unit is the brain of fish finders, then transducer would be the ears and eyes. A transducer performs the real work of detecting underwater information and sends it to a small computer/display unit where the data is processed and then displayed. Transducers consist of an underwater sensor which sends information to the computer display unit. There are different types and sizes of transducer available. However, the primary and primary function of a transducer remains the same. Every transducer consists of a piezoelectric sensor which vibrates at a particular frequency and emits sound waves to the water. For every complete wave (Ping), there is always a return signal. The strength and time of the return signal are then converted into an electrical signal and sent to the computer/display unit. This is the complete Sound Navigation and Ranging (SONAR) system. After receiving the return signal, the computer/display unit processes it and displays the result. There are different types of sensor elements available based on the frequency used. The traditional and old 2D sonar utilize a round shaped sensor which emits a low amount of frequencies to most modern sensors. Most imaging devices use a high amount of thin frequency signal. The CHIRP sonar can produce frequencies of much broader bands which sometimes called the broadband sonar. Fish finders with GPS capabilities can plot your position and easily track you on the map. Most modern fish finders have internal GPS signal receiver. If you have good quality gander mountain fish finders, then you know the benefits. However, do not worry if you have Hawkeye portable fish finders which have no GPS. You can still use an external GPS receiver to see the position and moving direction correctly. For fishing, a perfect map and a good GPS receiver can be highly useful for scouting, navigation and marking waypoints so that you can return to your favorite spot at a different time. With latest Garmin and Hummingbird fish finders you can even create your map of unmapped water areas. All you need to do is to travel that area in zigzag pattern and software of your fish finder will automatically generate a map for you. If you are a serious fisherman, you may need more than one fish finders at a time. You may need to use one fish finder to the steering wheel (console) and another one or two to the bow where you do your casting. It is not easier to keep track of all these fish finders at a single time. Networking mechanism can help you in this situation. By networking, you can share screens and even functionality of your fish finders. Fish finders can be linked directly within themselves or using a hub. Different fish finder manufacturers allow a different procedure to network their fish finders. NMEA 2000 based system is used in Garmin and Lowrance fish finders whereas; Ethernet based-system is used in hummingbird fish finders. Networking using Ethernet is easy as it is plug and play. However, NMEA 2000 based system is more technical and useful if you want to extend your network with other devices as well. You have already learned that fish finders use sound waves to determine objects under water. When a sound wave hits something, its strength and size change according to the depth, size, and type of the object. When the return signal receives, fish finders analyze that information and then to determine the kind and extent of the object. 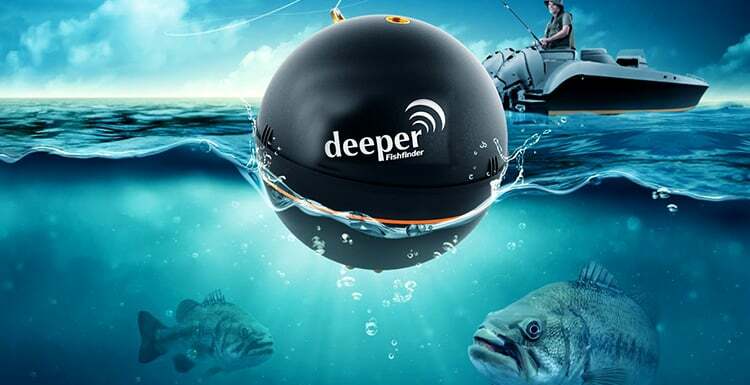 Of course, fish finders are made to find fishes, but sonar sensor does not differentiate any objects under water. For this reason, you will also be able to find rocks, swallow waters, logs and other objects. Now that you have learned everything about the working procedure of a fish finder, you will be more accurate to use this device. Also, do not hesitate to write us back if you think you need more information. Finally, Happy Fishing!